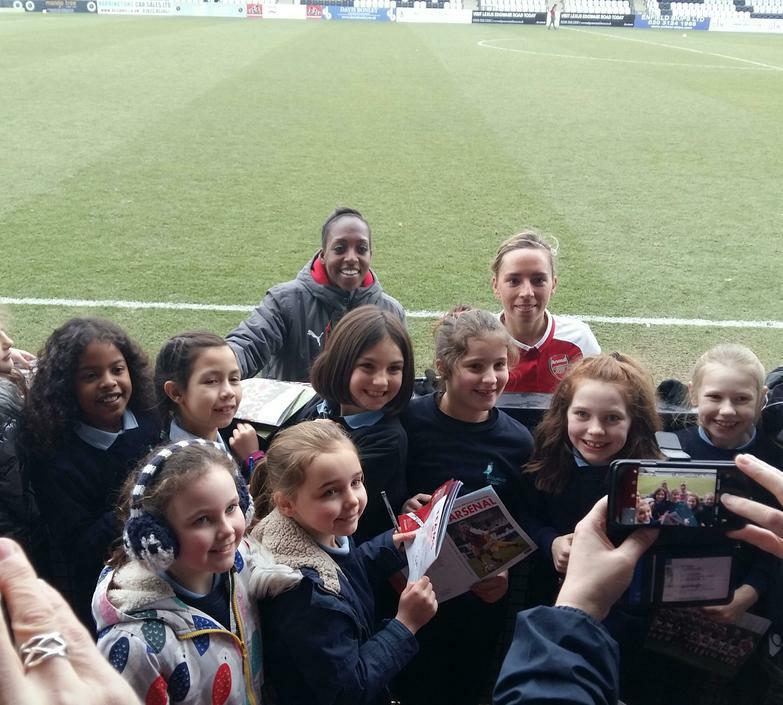 Twelve girls from Year 3 and 4 were chosen to walk out with the players on Sunday 18th February as Arsenal Women played Millwall in the Women's FA Cup. 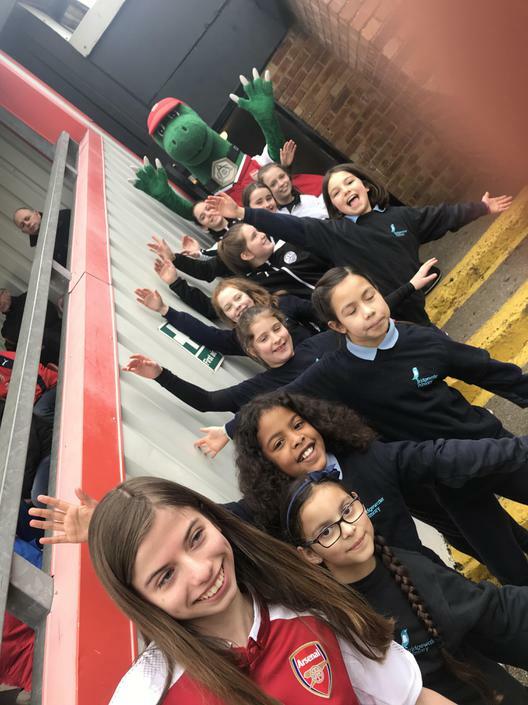 Wearing their matching Team Bridgewater T shirts the girls met with Gunnersaurus Rex before the match and then walked proudly out onto the pitch at Meadow Park in Borehamwood. Mrs Bettridge was asked to wave a flag in the 'guard of honour' too and she was also very excited. After performing their duty admirably, the girls then sat in the stands to watch the match that Arsenal won 1-0. At the end of the match the players came and signed autographs much to the children's delight. England regular and Arsenal captain Jordan Nobbs also posed for a photo with the girls. A truly memorable experience, with Iris Sat saying that she wouldn't wash her hand for a week after holding an Arsenal players hand. Our sports crew assist our sports coaches with lunchtime clubs, write reports for sporting fixtures, speak at sport assemblies and help in planning our various sporting events. Our sports crew members are passionate about sport and have a desire to inspire others and promote sport within the school. We celebrate our 'Sporting Superstars’ each term through our sports assemblies. A partnership between schools is vital to develop PE. We are part of the Dacorum Schools Sports Network (DSSN) which provides initiatives and resources to share good practice which is key to developing PE in the schools across the network. 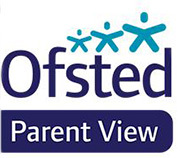 The network also provide access to inter-school competitions for all year groups.